We are all familiar with the swirl of controversy surrounding the designation of national monuments. People hear that all roads in a new monument will be closed. Recreation will be outlawed. That monuments are only created to protect wildlife. I wouldn’t support national monuments, either, if that were true. I don’t just visit public lands to enjoy the wildlife that share the land with me. I need lonely dirt roads that stretch over the horizon. A remote campsite where I can relax with a beer in hand as the shadows of a mountain range creep across a wide valley at sunset. I need monuments to keep the lights of the city far away, so I can see the the millions of stars above that remind me of my own insignificance in this universe. Others visit monuments for activities I may not personally enjoy. That’s usually what sparks the debate that divides people who all equally love the land, but all have different ways of enjoying it. Some of us go rockhounding. Others go hunting and fishing. 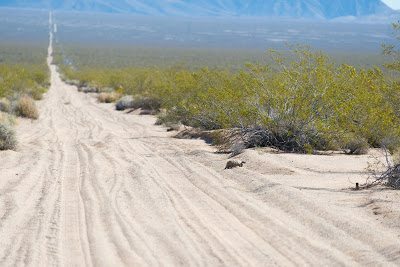 Some enjoy the challenge of getting their Jeep across miles of rough desert roads. Others ditch their car completely and backpack for days across the wildlands. Others bring pounds of heavy photographic equipment to capture moments in time and share them with the world. We all like being in the same place, but we all want others to stay away. No matter how we choose to enjoy the land, I have never met someone that dislikes wide open landscapes. 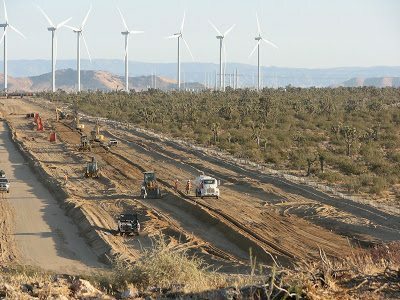 Nobody says they visit a desert valley, or climb a mountain peak to see drilling rigs or wind turbines. We are inundated by technology and industry in our daily lives. We don’t escape to public lands to see more of that. It’s the natural landscape and its geological, historical, cultural and bio-diverse wonders that make them worth the visit. If merely possessing rocks of interest, deer meat, or having a photograph of a sunset was enough to satisfy outdoor recreation enthusiasts, Amazon would have already shut down the outdoor industry and any need for public lands by simply delivering them to our doorstep. But that isn’t the case. We each identify with different hobbies or forms of recreation, but we all enjoy our recreation more because of the land and its natural state. Overcoming hot days or cold nights, being startled by a rattlesnake in a wash, or watching a red-tailed hawk soar above us as we trek out into the open. 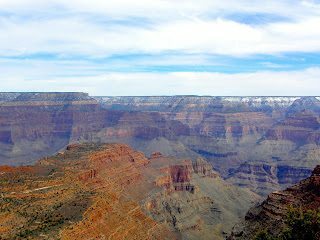 When Roosevelt designated the Grand Canyon as a national monument (it would later become a National Park), he designated more than 800,000 acres of the area as a monument. That’s larger than most of the monuments that the President is currently looking to cut. Roosevelt didn’t just protect a roadside overlook. He knew he had to protect the sweeping grandeur of the landscape. Because it was the landscape as a whole – and all of its many natural components – that made it significant to the American public. Some of the other monuments designated in the years after the Antiquities Act was passed were smaller – thousands, instead of hundreds of thousands of acres. But most people in 1906 probably had difficulty envisioning cities and suburbs sprawling across the land farther than the eye can see. 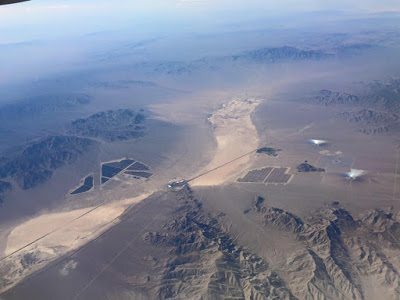 Natural gas well pads and connecting roads strewn across grasslands, massive open pit mines carved into mountains, wind turbines towering over our ridge lines, and solar panels blanketing what used to be remote desert escapes. Who in 1906 knew that grand landscapes dominated by nature – not industry – would become rare? You can always take issue with how public lands – including national monuments or national parks – are managed. 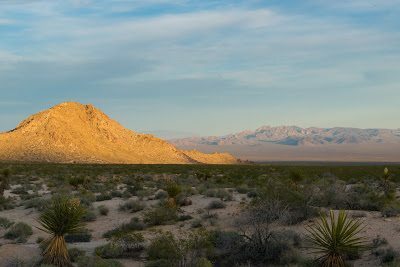 You could argue that hunting should be allowed in some National Park units (indeed, it is allowed at the Mojave National Preserve) or restricted at some monuments (hunting is allowed in many national monuments). Or that some roads should be opened or others should be closed. We – the people that enjoy public lands – will always have our disagreements and debates. Without national monuments, however, there should be no debate that the tide of industry and urban sprawl will erode the lands we all cherish. The Secretary of Interior this month will ask for public comments on national monuments designated over the last twenty years. The intent, guided by the President’s Executive Order, is to strip some of our public lands of protections to allow for more industrial uses. If this exercise were truly about public access, Interior could establish what types of recreation are allowed through already-established land use planning processes for each monument. Instead, this is about catering to big industry and opening up wildlands to bulldozers and bankers. In my comments to the Secretary of Interior, I will be letting Washington know that all of these monuments – kept for the enjoyment of the public and not for the profit of extractive industry – are what make America great. Amen! It does not matter how we use them but that they are there to be used! I hunt, I fish, I hike, I camp, and I look to be inspired in ways that work cannot. Each National Monument (like each National Park, for that matter) has its own story of how it came to be a designated protected area.